With a stay at Ultra Broadbeach in Broadbeach, you'll be in the entertainment district, a 5-minute walk from Kurrawa Beach and 9 minutes by foot from Pacific Fair Shopping Centre. 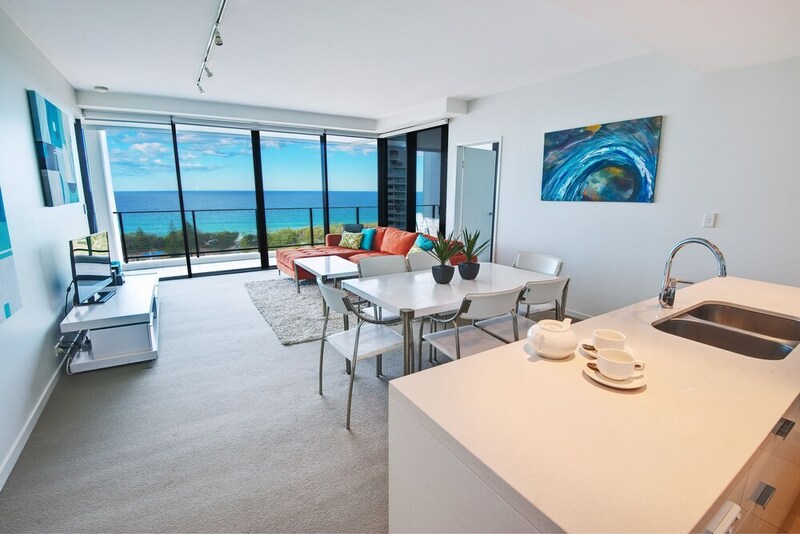 This 4.5-star apartment is 0.5 mi (0.8 km) from The Star Gold Coast and 0.6 mi (0.9 km) from Gold Coast Convention and Exhibition Centre. Make yourself at home in one of the 40 individually decorated guestrooms, featuring kitchens with full-sized refrigerators/freezers and stovetops. Rooms have private balconies. Wired and wireless Internet access is complimentary, and plasma televisions with cable programming provide entertainment. Conveniences include separate sitting areas and microwaves, and housekeeping is provided on a limited basis. Be sure to enjoy recreational amenities, including an outdoor pool, a spa tub, and an outdoor tennis court. This apartment also features complimentary wireless Internet access, tour/ticket assistance, and barbecue grills. In addition to an outdoor pool and a children's pool, Ultra Broadbeach provides an outdoor tennis court and a spa tub. Public areas are equipped with complimentary wireless Internet access. This luxury apartment also offers a fitness center, a sauna, and tour/ticket assistance. Onsite self parking is complimentary. Ultra Broadbeach is a smoke-free property.